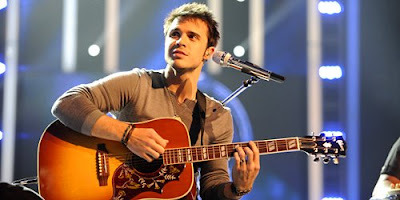 While many people were surprised to see Kris Allen win American Idol, I wasn’t, not that much. Of all the people who made it through the top 13 before the wild card, Kris Allen is the only one whose audition I hadn’t seen. He even dared to sing Michael Jackson in the top 36 something that would have sent any “ordinary” contestant back home but not Kris Allen. From that very first surprise everybody following American Idol knew that they should keep a close eye on that kid. He’s come a long way since “Man in the Mirror”. I remember last year finale when Simon Cowell was criticizing David Cook for not singing Billy Jean in the finale, he told Simon that the show was about growth and he didn’t want to go back to something he did long before but instead he wanted to show that he had grown along the process and did knew songs. Frankly when he said that it was clear that he had the edge over David Archuleta who did re-sing Imagine in the finale. And David Cook won. If you go back to auditions, the top 36, the top 13 until the top 3 tell me which one do you think has “grown” the most Adam Lambert or Kris Allen. Adam has stayed practically the same he was when he entered the competition and his over exposure on the show and the constant lobbying by the judges didn’t help. Simon was even impatient to have Adam crowned the American Idol. But Kris Allen over came all the major obstacles like the fact that before the top 13 most people didn’t even know his name and even after that they only mentioned him for his niceness, like the fact that he helped out other contestants on Michael Jackson week. At no time he was favored to win this until he made it to the top 3 and sang Heartless then the judges started to doubt that it was a sealed deal for Adam but the Kris Allen’s fans already knew by then that they could count on him to go all the way. If you can remember some questions aimed at Kris, they were constantly asking him if he took the competition seriously, if he’s in this to win it. The same questions they were asking Jason Castro during season 7, the judges, especially Simon Cowell never believed in him at least not until the very end. I have to confess that I was extremely happy last night, once again the judges didn’t have it their way and Kris Allen won the title he fought so hard for. Allison Iraheta, Danny Gokey, Adam Lambert and all the others were tough competition to overcome but he did it. Here is a video of how fans gathered in Conway, Arkansas (Kris’ hometown) reacted to the news.